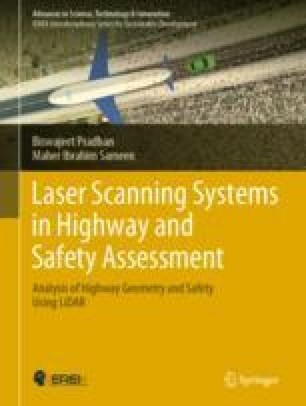 Road geometry, including tangents and curves, is essential information for many geospatial applications, such as traffic accident analysis, car navigation, and site selection and ranking. In accident analysis, drivers are influenced by road geometry. They adapt their way of driving based on their perceptions, driving ability and accumulated experience in segments they have covered yet. In a few road safety applications, road geometry is updated to reduce traffic accidents. Road geometry also presents important data for car navigation. Detailed road geometry provides accurate and informative directions, best routes, and notifications on recently occurred events. In addition, road geometry is usually used as an influencing factor in a wide range of site selection applications (i.e., site selection for waste disposal and new schools/universities).